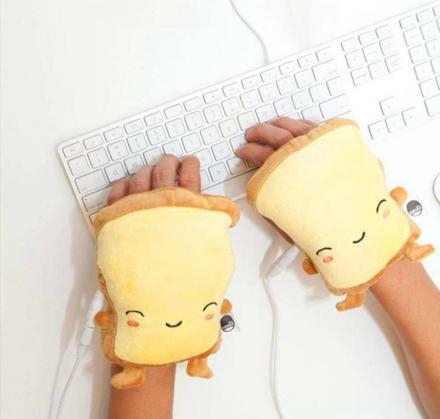 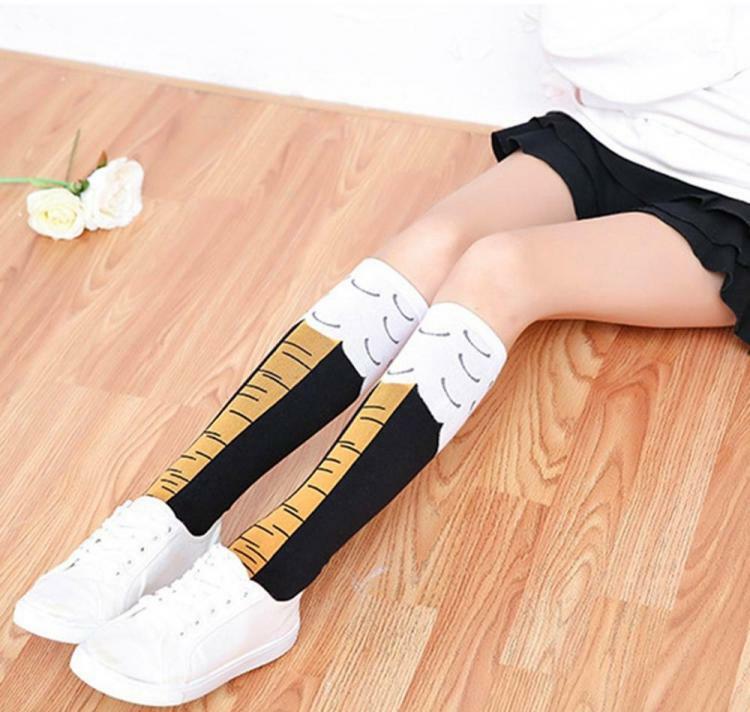 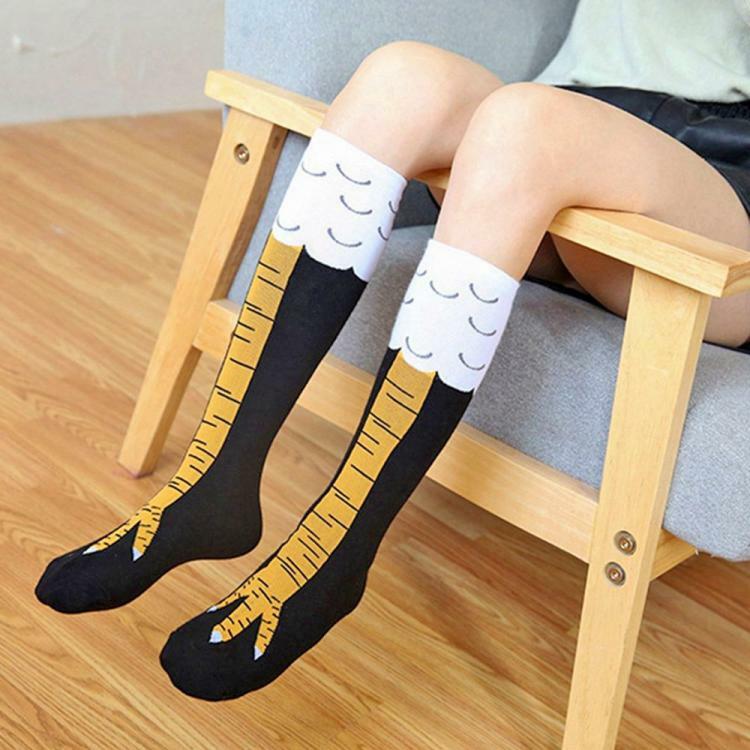 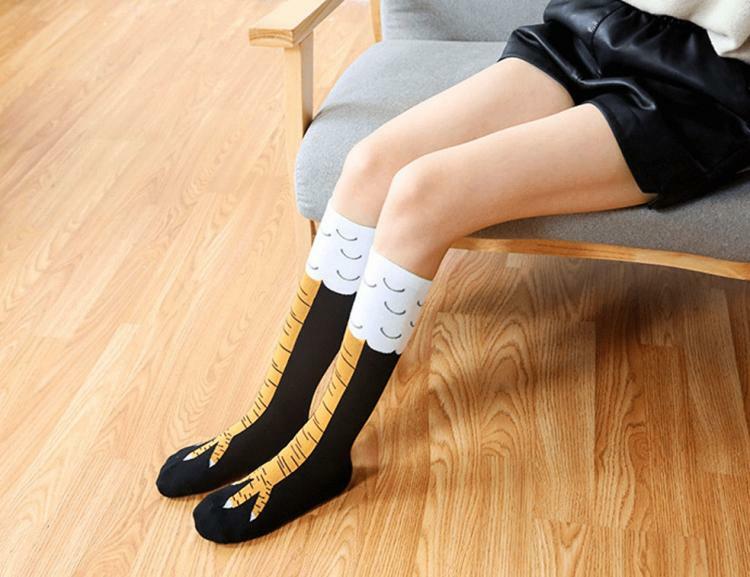 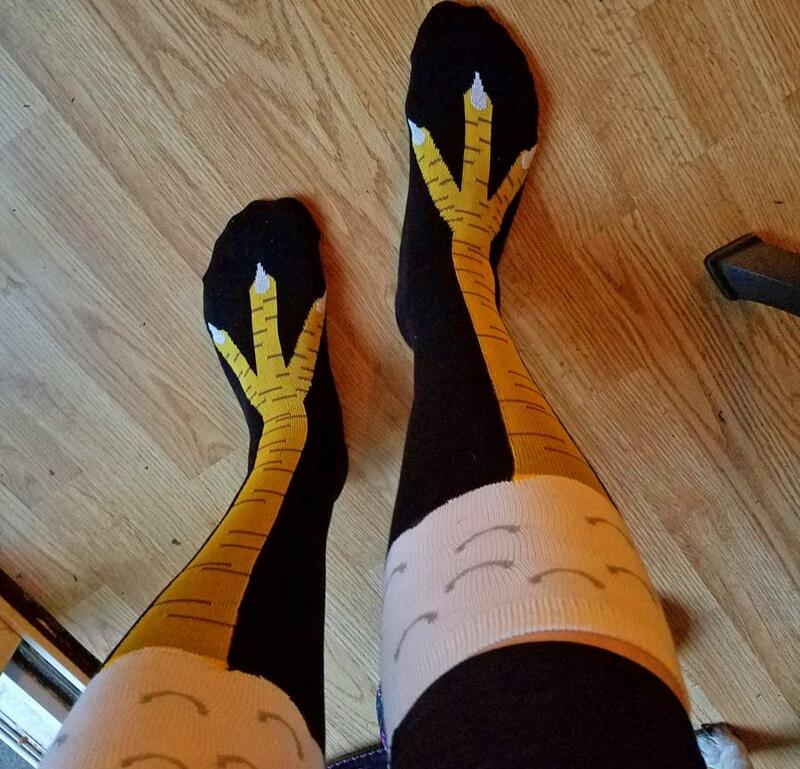 In a world with sandal socks, ice cream cone socks, cheeseburger socks, and shark bite socks, it only makes sense that these chicken leg socks exist as well... 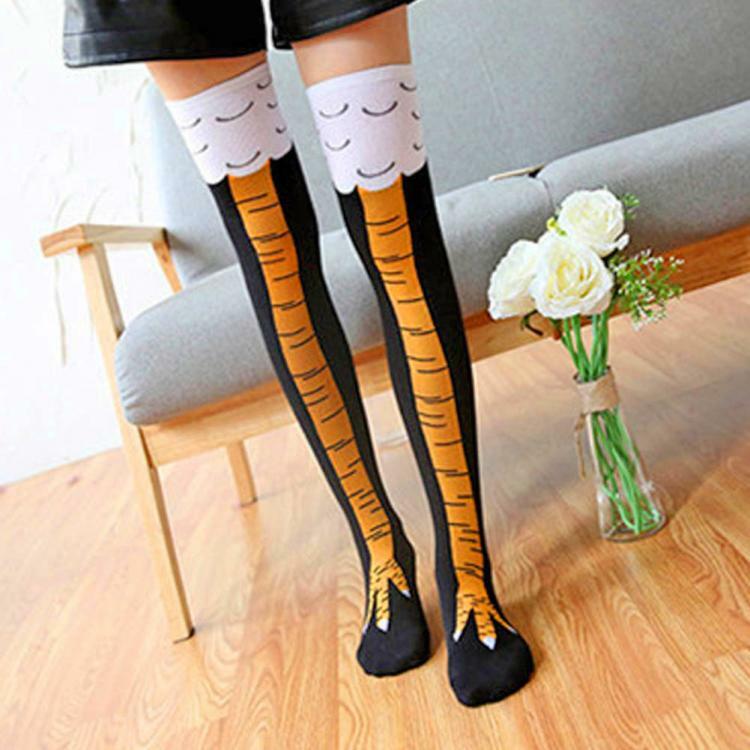 These obscure socks make it look like you actually have chicken legs, not just skinny legs, but actual chicken legs! 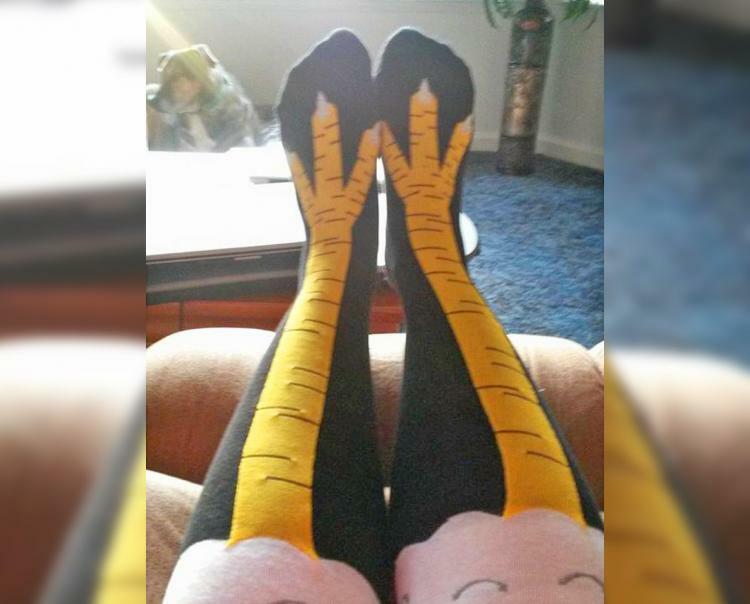 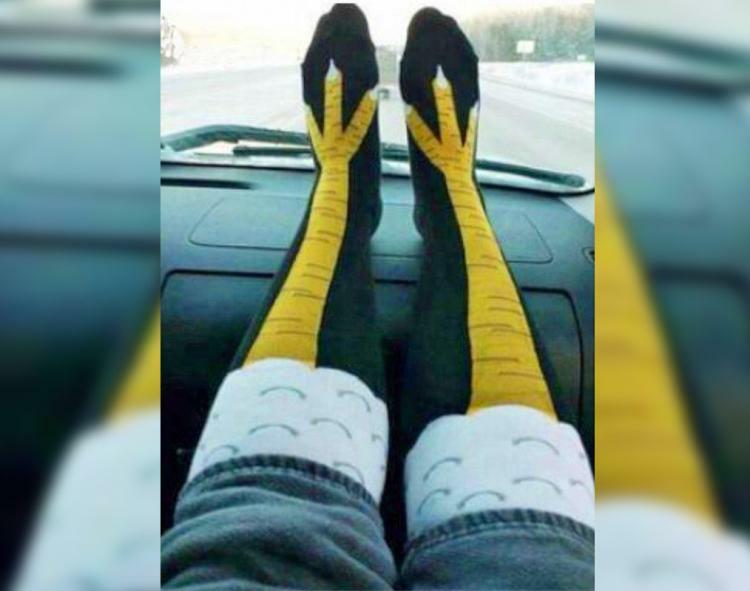 The chicken leg socks are all black with long skinny chicken legs right in the middle that go down to your feet, so if someone were to look at you in front of a darker background, they'll see you with actual chicken legs instead of human legs. 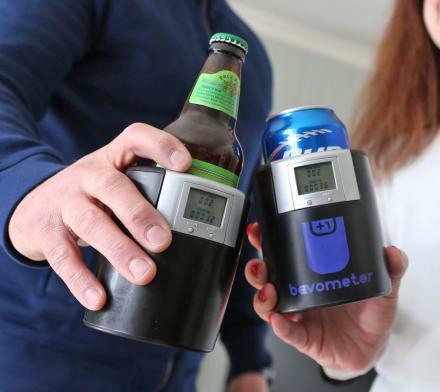 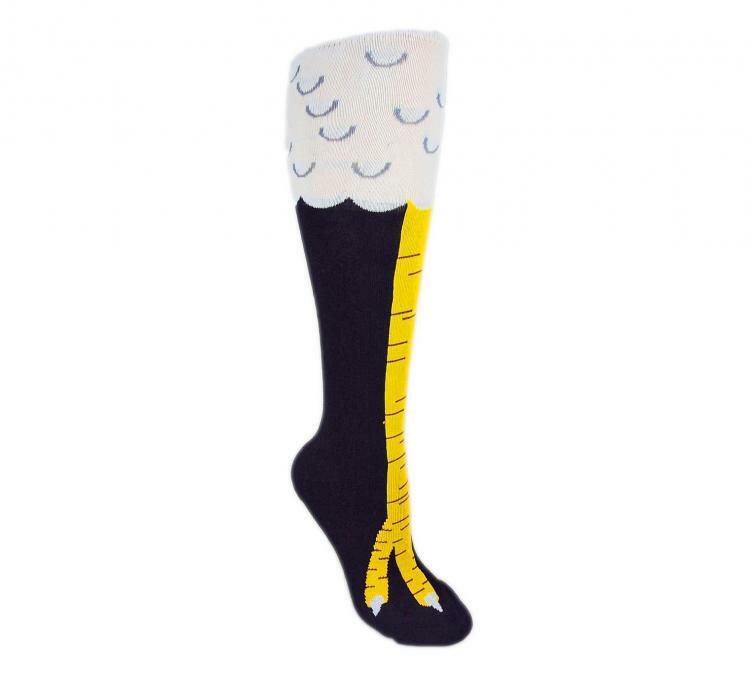 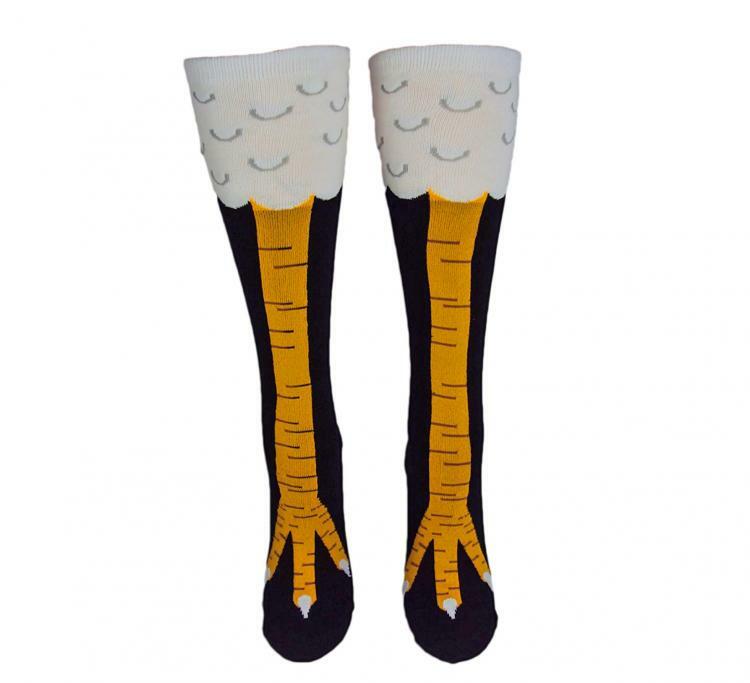 A perfect gift idea for groomsmen, bachelor parties, gag gifts, or just for those who would like to become more like a chicken, these chicken leg socks are sure to get anyone's attention when they look in your general direction. 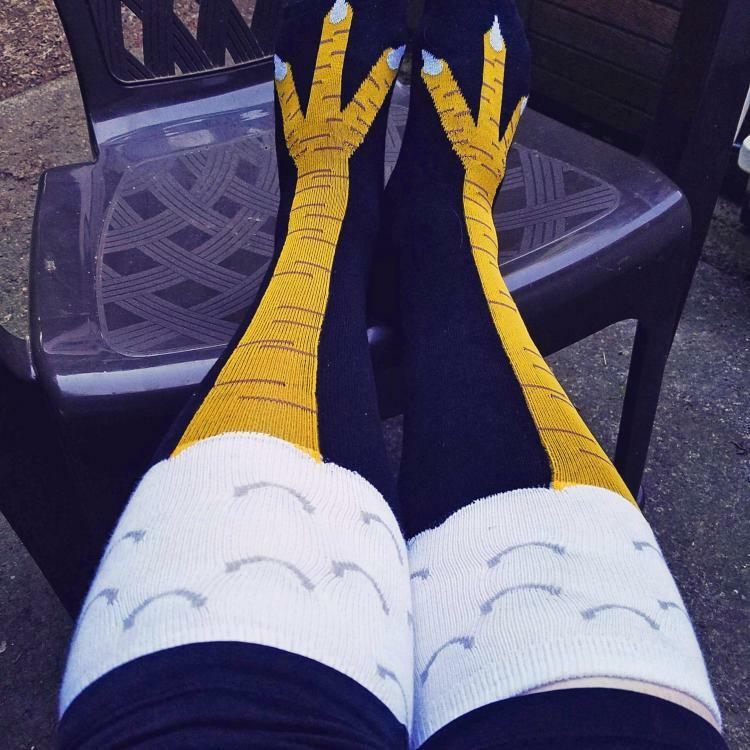 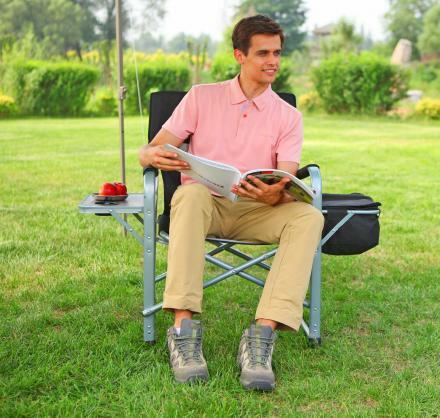 The chicken leg socks come in a few different colors to choose from, are made from 80% cotton, 2% nylon, 13% spandex, and 5% elastic, are super soft, come in medium and large sizes to choose from, and will actually make your legs look leaner when you wear them! 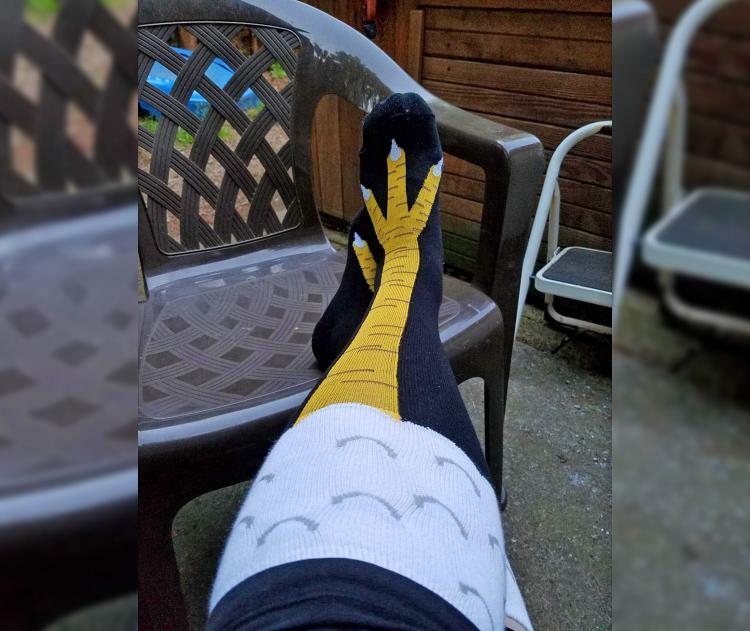 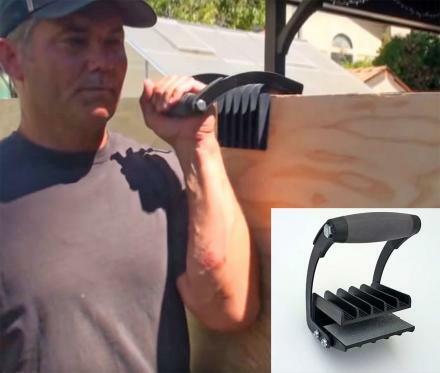 Check out the Chicken Leg Socks in action via the video below.